Need more information about booking Home 6752616 ? Family Accommodation. 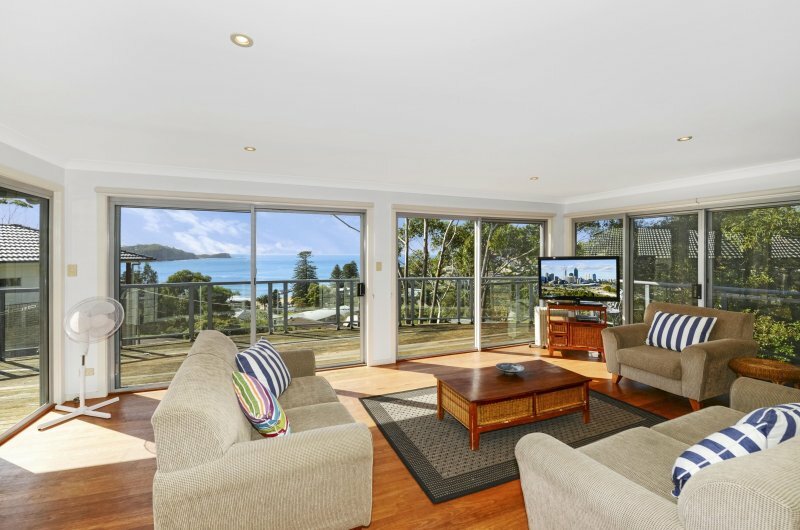 Great house and amazing views overlooking Avoca Beach and beyond! 5 minute walk to the beach. Downstairs you will find the main bedroom with queen bed and ensuite, bedroom 2 containing a queen bed both have views and a private deck. Bedroom 3 contains two king single beds, and bedroom 4 contains one set of bunks and a single bed. Linen not provided. The upstairs section has a huge deck, fully equipped kitchen and large living/dining area with TV and DVD. Laundry with washing machine and dryer. Estimated price per night based on a weekly stay. Owner fees of £42.00 per stay may apply. Enter your dates to see the total cost.